Whether you're looking for a way to add a creative touch to your next dinner party, or you're a wedding planner who wants to provide as much information as possible to reception guests, it's definitely a good idea to think about adding QR Codes on table tents. Table tents are a vital part of catering operations. They are always there, rounding off table settings, but they are hardly ever used by party planners beyond adding a decorative touch and identifying guests. But what if you could turn these humble folded pieces of card into something truly special? In fact, deploying smartphone-scannable Codes allows you to do just that. 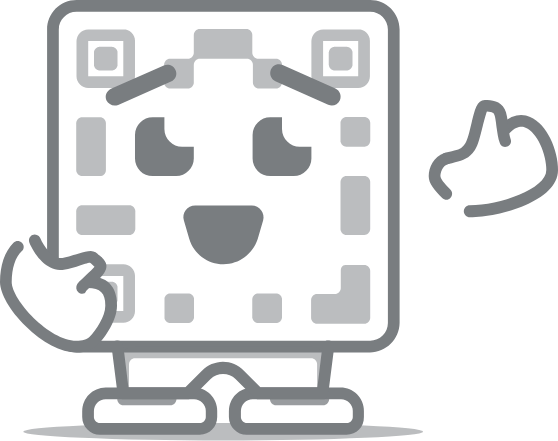 For those who aren't familiar with them, QR Codes are square-shaped Codes which resemble a jumble of black and white pixels with a series of squares in the corners. Designed to hold digital information, they can be scanned by ordinary smartphones. This generates an instruction for the phone, which usually takes the form of an internet link. They can be printed on almost any material, and scanning only takes a second or two. They also come in a range of forms, such as Event QR Codes, which let attendees know a bit more about what organizers have planned, or Email QR Codes, which could link straight to a pre-prepared email template. The possibilities for using QR Codes on table tents or things like placemats or name cards are truly exciting. For instance, a Video QR Code could link to videos about the wines being served at an event, or provide some background about the bride and groom at their wedding. But don't take our word for it. Plenty of event organizers and caterers have already led the way in adding Codes to their table decorations. Here are some of our favorite examples. London-based Giraffe like to create a laid-back environment at their eateries, and scannable Codes are a key part of their setup. For a couple of years, their table tents have used Codes to link to promotions offering free beverages, toys or even ebooks. Our Coupon QR Codes can do the same for your business. One Reddit user had a great idea about using Codes. Knowing that attendees would ask for his WiFi details, he printed out 3D coasters with QR Codes containing his WiFi password, making it easy for guests to log on. But you don't need to use 3D printing to do the same. Your details in a PDF QR Code would work just as well. Restaurants have found other ways to use QR Codes. For instance, Menu-Craft have created waiterless ordering systems where QR Codes are used by customers to select menu choices. Your business can use the Website URL QR Code for customers to scan and order straight from your online menu while they are already in the restaurant. Thousands of couples have used scannable Codes on their table tents, which isn't surprising. By adding our Video QR Codes to place cards or table tents, couples can link to messages which are tailored to individual guests. The PDF QR Code could also be used to send personalized content. Either way, Codes are great ways to make big gatherings feel more personal. Small businesses across the USA combine QR Codes and table tents to allow customers to link to their social media accounts. Companies like Peaches Skincare have added Facebook QR Codes to table tents, making it easier for clients to stay in touch after treatment, and increasing the chance of a repeat visit. If you like the idea of adding QR Codes to your restaurant tables, wedding or small business, doing so is cheap and easy. But always remember to keep things simple. Don't clutter your design - just focus attention on the Code. Always use the Code to provide a valuable link. There are many types of QR Code, from Social Media QR Codes which link to your Twitter or Facebook accounts, to Rating QR Codes, which instantly let customers rate your service. When it comes to adding Codes to your table decorations, QR-Code-Generator.com provides all the tools you need. To get started, be sure to download our free print and design guides to get your creative juices flowing.